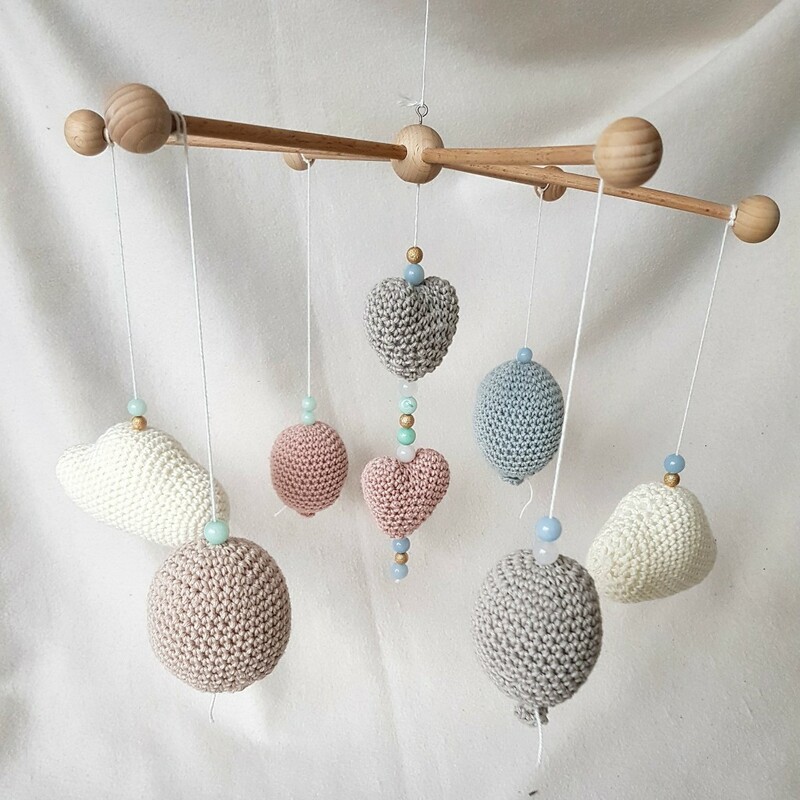 Always nice again … a self-crocheted mobile for a newly born baby! This time, I have just a picture and an idea how to design such a mobile. All you need for the mobile is a mobile cross, a few balls of wool – I prefer a thin cotton, scissors and woolen needle. If you want, complete the whole thing with pearls. The links to used materials can be found, as always, at the end of the article! The instructions for the cloud and the Balloons can be found on the Ribbelmonster page. The balloons I have reduced a bit. I wish you a lot of fun while copying and look forward to your results!